Upbeat Instrumental music plays starts and plays softly in the background for 19 seconds. DJ Ability: Hi this is DJ Ability. Welcome to Ability Anyware Radio. 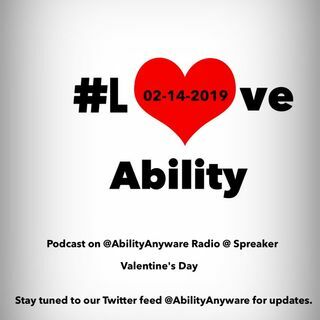 This the the #LoveAbility Podcast, just in time for Valentine’s Day. We’ll be interviewing a talented, young artist by the name of Ina today. And here’s what she had to say.